Of all the joints in your body, your knees and hips are among the most susceptible to injury or wear and tear. That’s mostly because these joints bear the brunt of our body weight and daily movement. 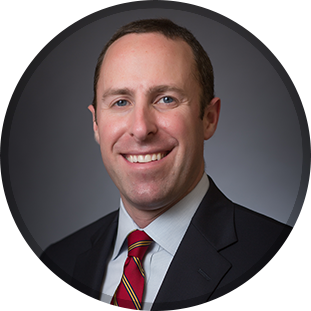 Dr. Brett Gilbert will accurately diagnose and effectively treat a wide variety of orthopedic hip and knee conditions for you. Osteoarthritis, otherwise known as degenerative arthritis, occurs when inflammation and injury to a joint – in this case, the hip and knee joints – causes a deterioration of cartilage tissue. Hip and knee arthritis is more likely to develop as one gets older, after previous injury or trauma, and among those who are overweight. Symptoms of osteoarthritis include pain, joint stiffness, swelling, and the inability to move the knee or hip to perform routine activities. Osteoarthritis is usually diagnosed by a physical examination and X-ray. Treatment may include rest, medication, exercise, or surgery, depending on the severity of your condition. Some patients have an autoimmune condition that causes their own immune system to destroy the cartilage cushion in their joints. Common autoimmune disorders include rheumatoid arthritis, psoriatic arthritis, and ankylosing spondylitis. Once a joint is worn away due to one of these conditions, the definitive treatment is the same as with other patients who have traditional wear-and-tear arthritis. Osteonecrosis is a disease caused by reduced blood flow to the hip or knee joints. Blood flow to these joints is important because it enables new bones to replace old bones. With osteonecrosis, the lack of blood causes your bones to break down faster than your body can replace them. There is no known cause of osteonecrosis, but risk factors include joint injuries, alcohol abuse, long-term steroid treatment, and certain medical conditions. Osteonecrosis is diagnosed using X-rays or an MRI, and treatment options are similar to those available to patients with hip and knee arthritis. Symptoms of a failed hip or knee replacement include pain and swelling around the joint, a feeling of instability, limited range of motion or reduced joint function, and the inability to stand or maintain your balance. Before undertaking any revision joint replacement surgery, Dr. Gilbert will accurately diagnose your condition using the advanced imaging tools at his disposal to determine the best treatment plan to meet your needs. The causes, symptoms, diagnosis, and surgical treatment of a failed partial knee replacement are similar to those of a total knee replacement. One additional way that a partial knee replacement can wear out is if the remaining parts of your own knee that were not replaced develop arthritis in the future. Even in the case of a partial knee replacement, revision joint replacement surgery is a complex procedure that is best performed by a seasoned, board-certified orthopedic surgeon like Dr. Brett Gilbert who has expertise and special fellowship training to correct these complicated issues. A meniscus tear is a common cartilage injury that typically occurs with a forceful twisting or rotation of the knee, or even from a simple misstep. It often happens during sports or other physical activities. Symptoms can include pain, swelling, stiffness, catching or popping, and difficulty flexing or extending the knee. When also associated with arthritis, a meniscus tear is treated with rest, cold compresses, pain relievers, physical therapy, and injections. For more severe cases, or symptoms that do not respond to other conservative treatments, arthroscopic surgery is an option. Dr. Gilbert’s goal is to provide compassionate care, technical expertise, and personalized attention to patients with hip or knee issues. In some cases, especially with tough or complicated medical issues, it is a good idea to talk to more than one surgeon for a better understanding of your diagnosis and treatment options. As a hip and knee replacement specialist, Dr. Gilbert is available to provide a valuable second opinion to help you make clearer decisions about your health. Learn more about our effective treatment options. Schedule an appointment with Dr. Gilbert by calling our office at (919) 788-8797.